Budgets are normally mundane affairs, and rarely do they affect our local high street. This was an exception. But then these are exceptional times for retail. This year has been dubbed 'The year of the CVA' with over 30 retail companies entering administration comprising over 2,000 shop units and affecting 40,000 employees. This number of CV’s is between two and three times as many as in 2017 comprising many famous names such as Carpetright, Homebase, House of Fraser, Maplin, New Look and Pound world to name but a few. Meanwhile online retailers such as Amazon are expanding at an exponential rate and this is having serious consequences for the vitality and viability of local high streets. Consequently, the Chancellor the Exchequer in his Autumn Budget Statement announced a series of financial incentives, planning consultations and reviews to stem this decline. This includes relief from business rates over the next two years for premises with a rateable value of up to £50,000. This is forecast to save up to £8,000 per annum on individual shop units with the total cost to the treasury being c.£900m per annum. Whilst this sounds like a terrific give away, as it happens, over one third of such businesses are already eligible for this relief under European State Aid rules. So really this is providing continuity to such retailers post Brexit. Nor does this assist any of the larger retailers who have also suffered from excessive rates bills such as Debenhams, who have attributed their massive £500m loss largely to specific write offs and the rise in their commercial rates bills. All of which has come about due to the revaluation of the business rates lists which occurred last year and now happens every three instead of every five years. There is also to be a review into the relaxation of planning requirements for retailers ensuring that the Use Class Order reflects the current state of retailing. Currently, all business are classified according to their use with permission being required for the vast majority of changes. There are certain exceptions to this which are known as permitted development rights and in October 2015 these were extended to include any change of use from offices over to residential. This review looks at extending these permitted development rights enabling high street shop units to change over to offices obviating the requirement to obtain planning permission. This policy change is long overdue, but an opportunity has been missed to transform derelict or underperforming retail units over to residential thereby assisting our housing crisis. Another major proposal is to enable shop units to operate more than one specific use classification. This is particularly useful in today’s complex retail landscape enabling say a bookshop to double up as a café or an off license to also operate as a wine bar. To date the utilisation of such flexible formats has been restricted but this should no longer be the case. This will enable retailers to encapsulate the full `customer experience’ thereby competing on a different basis to e-commerce. This simple change which involves no financial subsidy will probably do more to reinvigorate our high streets than most other measures. It will enable retailers to be more flexible in their service offerings ultimately separating those that are prepared to adapt to the changing face of the retail market against the more traditional formats which continue to be challenged. The Chancellor has also introduced a new digital services tax which has already been nicknamed 'the amazon tax'. This is measured as 2% of revenue or services sold (it is not a sales tax) and is forecast to generate c.£400m per annum commencing in April 2020. The combination of these measures will provide a long-awaited catalyst for change in our high streets. Albeit in themselves they only provide only a temporary respite from the challenge of the e-commerce giants. Whilst the Chancellor could have been more ambitious it’s a welcome start. However, over the long-term high street retailers will have to be innovative and demonstrate flexible service offerings creating a unique customer experience. Otherwise the future maybe as bleak as the past no matter what initiatives come from the government. After all retail is a fast-moving sector and businesses must constantly adapt to change in order to succeed. 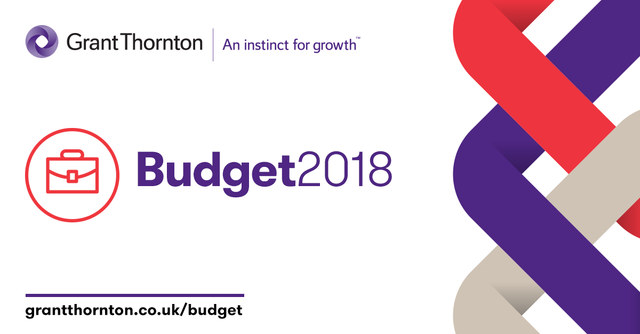 Please do get in touch if you would like to find out how the Budget may affect you and take a look at the link below for more information. Tax changes for non-residents - what next?